Eternity on a Rock: Nectar between the thighs! 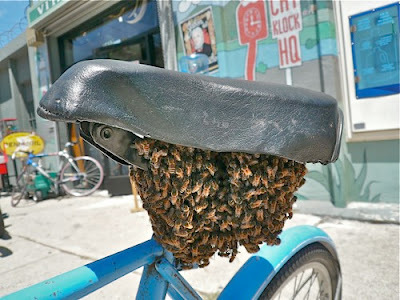 But no one knows why the bees swarm around the bicycle seat post of this chap. Perhaps, he has got nectar at his groin..